There are over 325 houses for sale in Lehi and a good number of townhomes and condominiums as well. Lehi offers a good selection of sizes and styles of homes. There are many older homes as well as new developments in areas like Thanksgiving Village at Thanksgiving Point. In 2013 the average price of houses sold was $276,000 with a median sold price of $325,354 for single family homes. There were almost 700 houses sold in 2007 and about the same amount sold in 2012. There are plenty of houses on the market. MLS listings and for sale by owner houses. The links below will help you find new construction home listings, homes for sale by owner, and Lehi foreclosure homes with pictures and detailed descriptions. Other real estate on the market in Lehi includes 36 condos, 1 multi-unit buildings including duplexes, triplex, and fourplexes and other multi-family properties for sale. Request a daily list of Lehi Utah homes for sale: List of Lehi Utah Homes for Sale. If you have questions about buying or selling a home in Lehi Utah contact a group of Utah County Realtors. If you need help Selling a home in Lehi Utah let Team Teasdale Realty give you a free comparative market analysis (CMA). Lehi Condos for Sale - If you want a nicer home, but don't have time to maintain a yard then a Lehi might be a good solution for you. Lehi has a plethora of condominium complexes to choose from including brand new complexes near the point of the Mountain. Some of the major Lehi Condo Associations Include: Pheasant Pointe, Westbury, Westbury at Pleasant Point, Pleasant Point, Pheasant Point, Boardwalk townhomes, PV West, Gray Farms, Pilgrims Landings, Cooper Hollow, Promenade, Gables Thanksgiving, Cooper's Hollow, Culter Crossing, Ivory Townhomes, Sunset Hollow, and GRA Condos, Condominiums often offer better locations and ammenities. 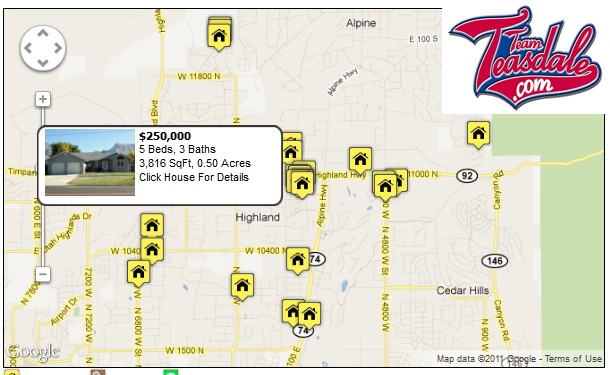 It is definitely a buyers market in Lehi. For the third quarter of 2012, 239 residential properties listed on the MLS were sold. The average MLS listing has been on the market for a hundred days. Home prices may drop a little more as there are many motivated sellers, short sales and bank foreclosures in Lehi. The bottom is difficult to predict. Large real estate discounts can especially be found on the high end, land, and spec homes as many properties are entering default and are in danger of foreclosure and or short sale. The majority of Lehi homes for sale are sold by Realtors and are listed on the MLS. Would you like to search bank foreclosures and short sales only in Lehi? 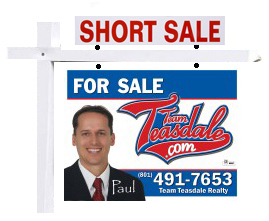 The links below provide lists of only Short Sales and Bank Foreclosures in the Lehi area. Visit our Lehi Utah Real Estate Website.